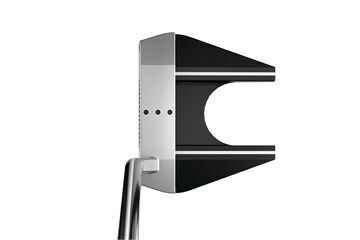 The Odyssey Stroke Lab Seven S Putter is a toe hang mallet designed with Odyssey's multi-material Stroke Lab shaft, weighted alignment fangs, an S-neck hosel and a White Hot Microhinge face insert. 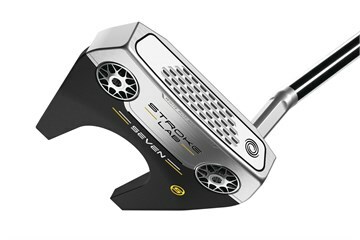 Having owned a Scotty Cameron Newport previously, the Odyssey Strke Lab no 7 S has transformed my putting. Great balance and consistency.